Sikagard 62 is a 2-pack solvent-free high build coating material based on epoxy resin with DWI approval and good chemical resistance. Produces an abrasion-resistant coating designed for normal to moderately aggressive chemical environments for use on concrete, stone, cementitious mortars and renderings (not polymer- modified), epoxy cements (EpoCem), epoxy mortars, iron and steel. Sikagard 62 is a 2-pack solvent-free high build coating material based on epoxy resin with DWI approval and good chemical resistance. Sikagard 62 produces an abrasion-resistant coating designed for normal to moderately aggressive chemical environments for use on concrete, stone, cementitious mortars and renderings (not polymer- modified), epoxy cements (EpoCem), epoxy mortars, iron and steel. 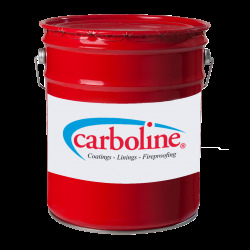 As an abrasion-resistant universal coating material designed for normal to moderately aggressive chemical environments. Sikagard 62 is suitable for use on concrete, stone, cementitious mortars and renderings (not polymer- modified), epoxy cements (EpoCem), epoxy mortars, iron and steel. 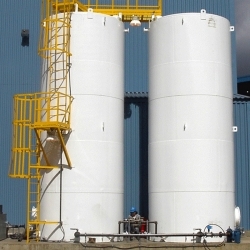 For linings in storage tanks and silos, bund areas. As anti-corrosion coating in food-processing plants, sewage works, farms and agricultural enterprises, chemical and pharmaceutical plants, beverage industries and bottling plants. For more details please download the product data sheet from the 'DATASHEETS' tab above. Hi, does this adhere to cured epoxy resin? 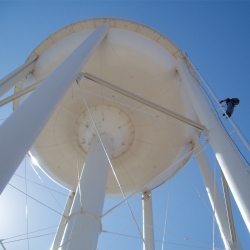 I am looking for a drinking water safe paint to coat an internal fibreglass watertank which I've coated with approximately 6 coasts of West Systems epoxy resin. Thank you. Sikagard 62 can adhere to other epoxy coatings, however as the existing coating is not a Sika product you would have to run adhesion trials to be certain. Usual preparation would be to use an abrasive pad on the existing coating, solvent wipe with Sika Thinner C, let it evaporate and over coat with Sikagard 62. However, in the DWI Instructions for Use manual for Sikagard 62, it states to remove all existing coatings from the substrate, of which this manual has to be followed in order to achieve the DWI approval. Sikagard 62 is indeed suitable. It is DWI approved. DWI Ref No. 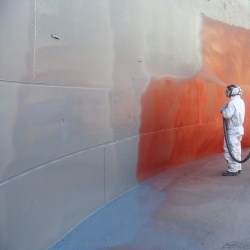 56.4.197.
International Interline 975 is a two component, solvent free, heavy duty epoxy tank lining for application to steel tank internals to provide corrosion resistance to a range of products including crude oil, white oils and potable water. 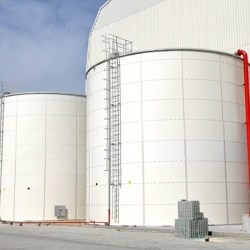 International Interline 850 is a two component, chemically resistant, high solids, high build epoxy phenolic tank and pipe lining coating to provide corrosion protection for the internals of steel storage tanks and pipes containing a range of products. 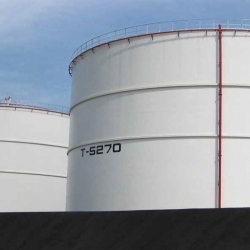 International Interline 925 is a two component, solvent free, heavy duty epoxy tank lining for application to steel tank internals to provide corrosion resistance to a range of products including crude oil, white oils and potable water. 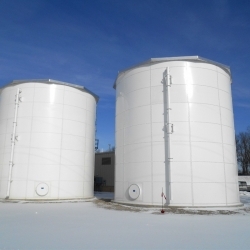 Sherwin-Williams Macropoxy C251(formerly Epigrip C251) is a two-pack epoxy phenolic primer finish coating for use as part of a 2 coat system for the internal coating of storage tanks and vessels. 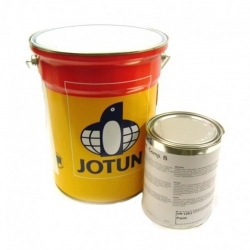 Suitable for insulated external carbon or stainless steel surfaces including equipment and pipework.